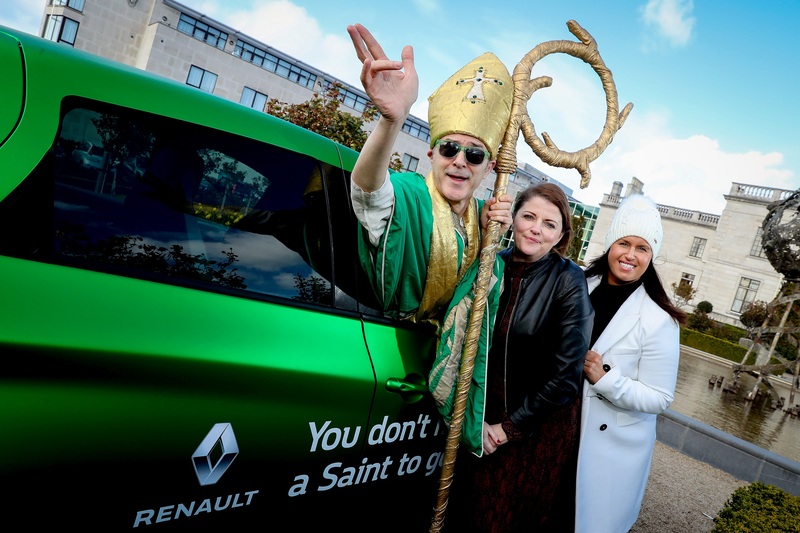 Renault Ireland will be the official car partner of the National St. Patrick’s Festival 2019. This year’s festival will run from March 14-18, with over 500,000 expected to line the streets of Dublin for the Festival Parade on March 17 itself. Renault announced in 2018 it will be the official car partner of the St Patrick’s Festival for three years. As part of its involvement, Renault will show you don’t have to be a saint to go green as the 100 per cent electric Renault Zoe makes its way through the capital during the parade. The Renault Kadjar SUV will also feature in the parade. Renault Ireland’s theme for 2019 is ‘Go Green with the Renault Zoe’. As official car partner, Renault Ireland will provide nine vehicles for use in both the Festival Parade and official St. Patrick’s Festival duties.